Turn stove to medium-low heat and place two of the bread slices, buttered side down in a large pan. 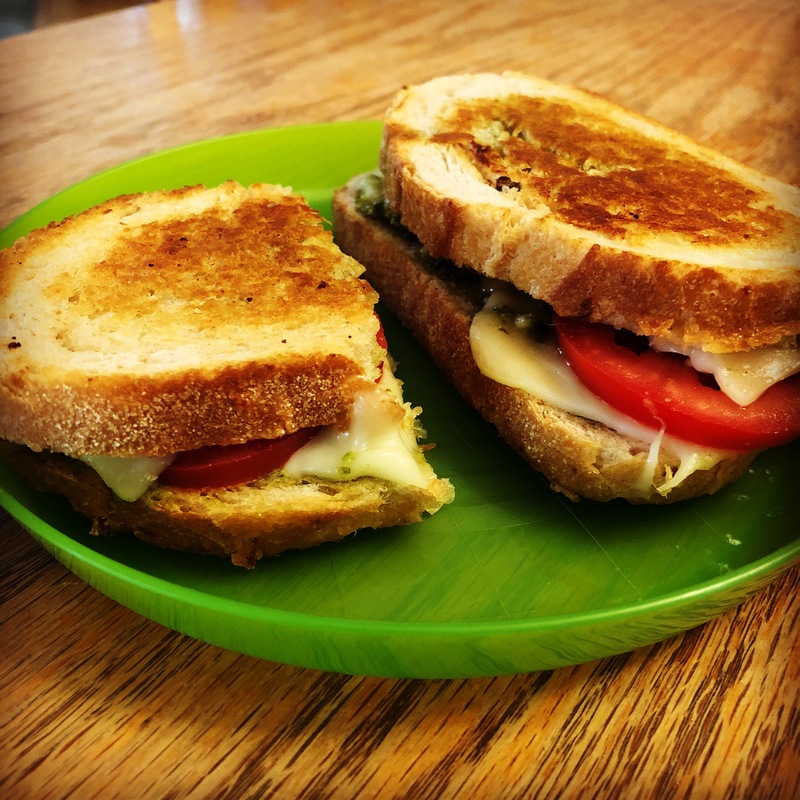 Spread pesto on the non-buttered side of each piece of bread and top with tomato slices and 1-2 pieces of mozzarella cheese each, depedning on preference. Place other slices of bread on top of sandwich, buttered side up. Cook until cheese starts to melt and bread is browned. Flip and toast other side.